Hello professors, teachers and doctoral students. Are you looking to get in some grading or planning for the upcoming semester/quarter, but not excited about the local coffee shop scene? Great! Want feedback from peers on your project or book idea? We’ve got you covered. Do you need meeting space for office hours? You have it here. 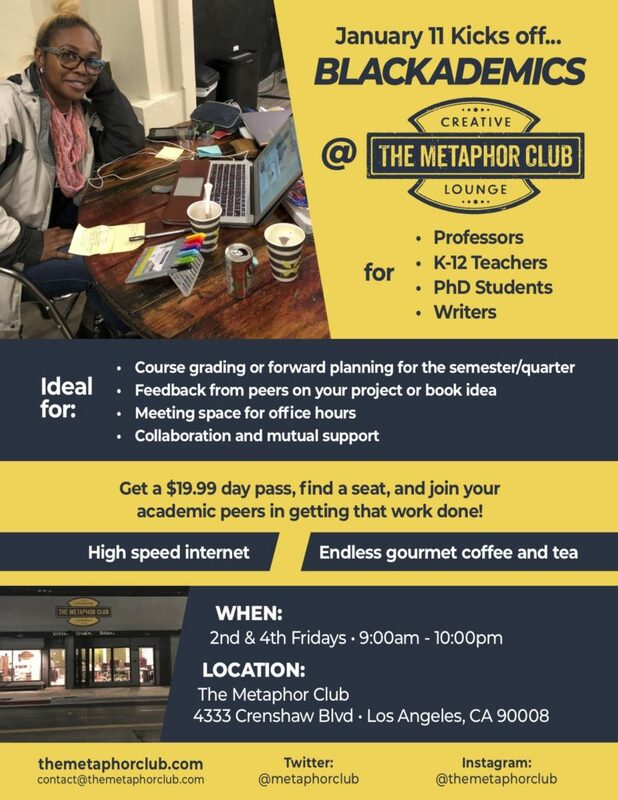 BLACKADEMICS at The Metaphor Club! 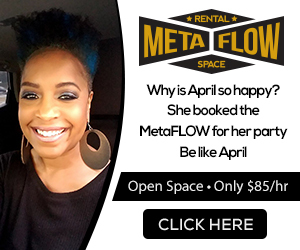 Get a $19.99 day pass, find a seat, and join other Southern California academics in getting that work done! 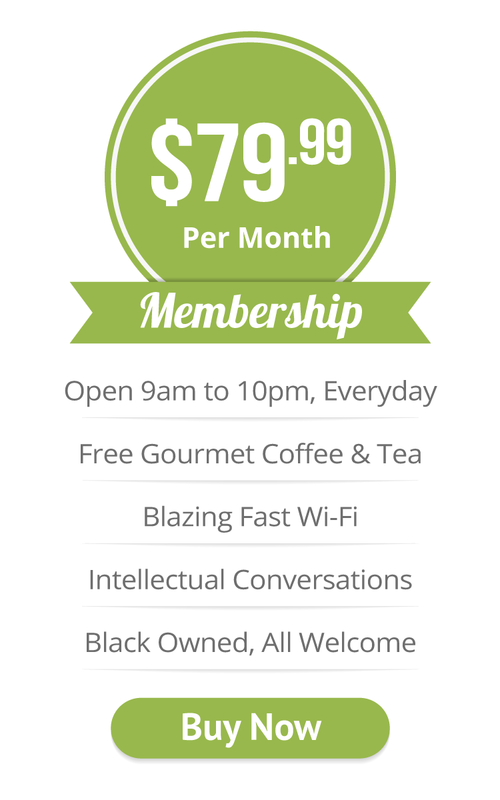 And we’ll throw in the endless gourmet coffee and tea for free! We open right at 9am and we close at 10pm, so you can chill with your peers all day.